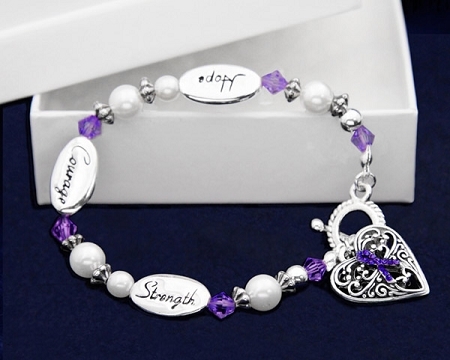 This is a beautiful Epilepsy Awareness sterling silver plated bracelet with purple, silver and pearl beads surrounded by three silver charms that say Hope, Strength and Courage. 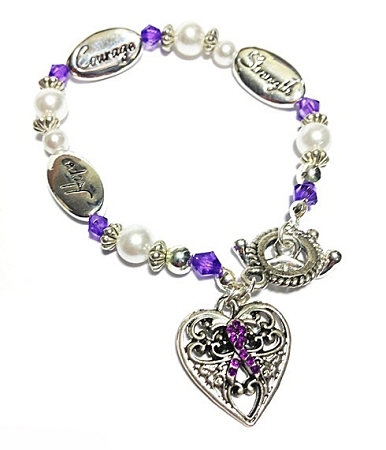 A heart charm with a purple crystal ribbon on it hangs off the bracelet. 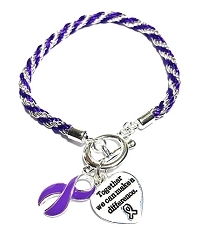 The bracelet is 8 inches wide and it stretches to fit any size wrist. Excellent service, fast shipping!! Will buy again. Thank you so much!! Wonderful! FAST delivery! Exactly what I wanted! 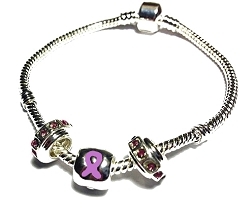 Super fast shipping & great product! Couldn't be happier!! Definitely will repeat business! !